MGM Lion was among the first 2 brands to get a sound patent registered. The second one was the Harley Davidson. While still in my early teens, this was my first introduction to the legendary brand that planted the biking seed in me. Over the years Harley has been the ultimate King of the biking world, ruling the heart of every biker regardless of the age or taste including me. 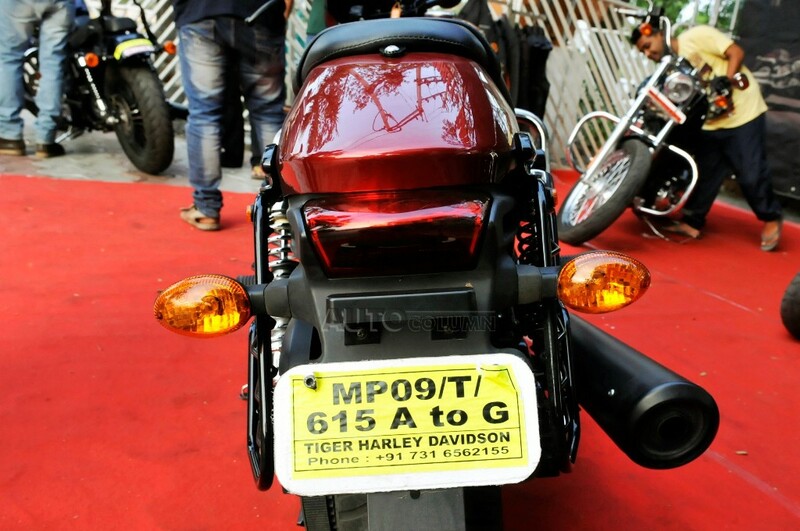 It has also been amongst the most inaccessible of the lot, coveted by millions and owned by a few, so when Harley Davidson was launched in the Indian market in 2009 the expectations were high, however the brand failed to make the mark on the Indian biking scene. 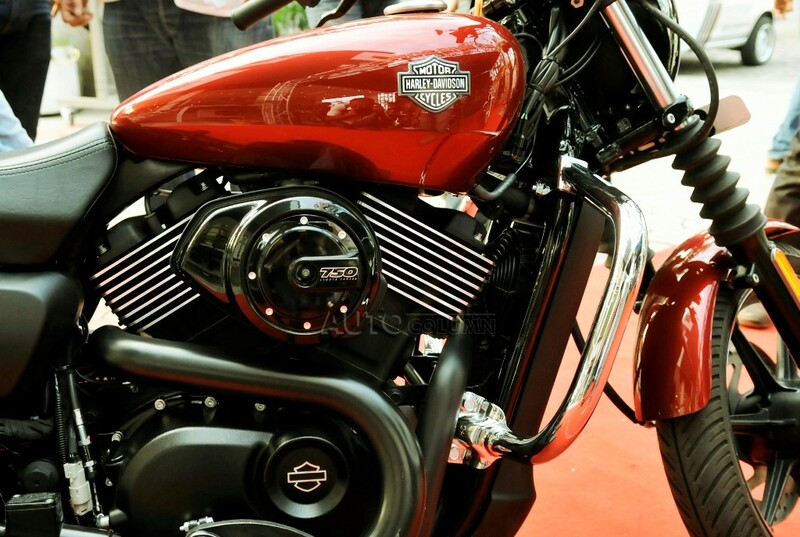 Harley brought down the price tags by assembling its CKD bikes in India, expecting it to be a fire sale. 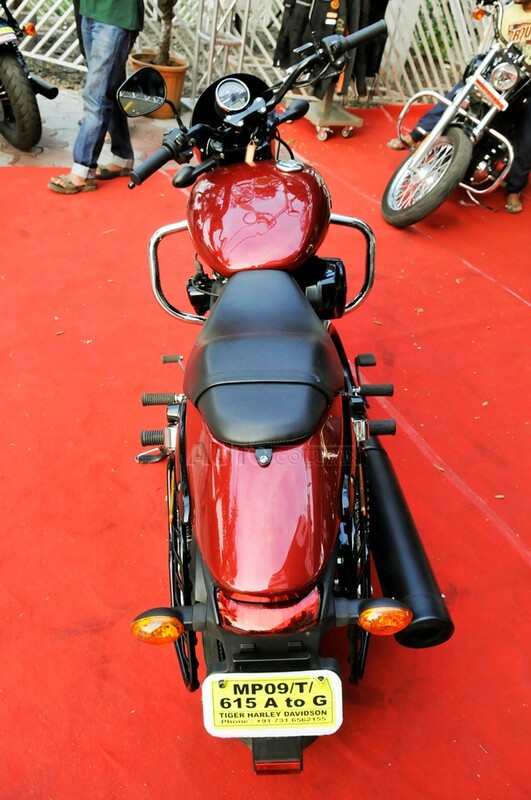 But the bikes were still out of reach of the average Indian, Finally realizing the need and potential in the Indian market Harley debuted the Street 750 in the 2014 Auto Expo , the first pocket friendly Harley and also the first one to be manufactured in India. 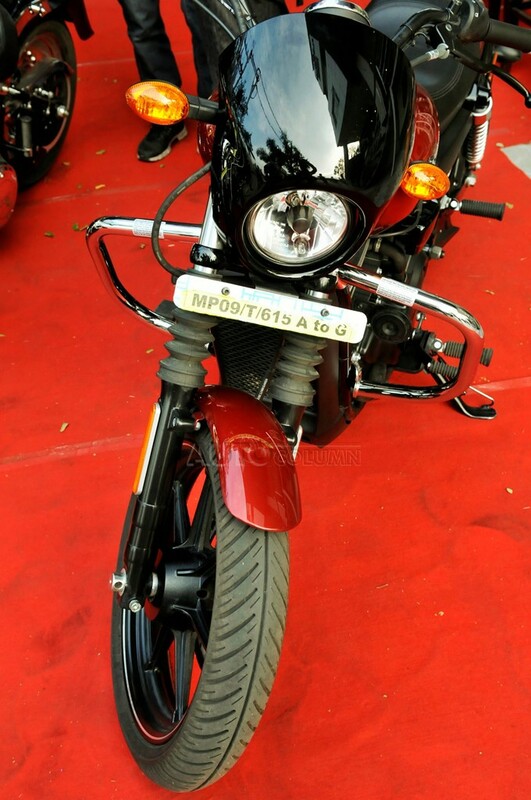 At 4.1 lakh (Ex- showroom Delhi) the bike became an immediate sensation. Trying ever since we finally get a chance to take the Baby Night Rod for a spin and to find out how far Harley Davidson has gone to make it affordable. And since this is the first time I could get my hands on one I will jump directly to the ride and handling, everything else comes next. Ride and Handling: The moment you fire the Street 750 you realise something completely unexpected has happened, the newest baby in the family is not that loud in fact it does not sound like a Harley at all, but that does not mean it’s not good. Rather it gushes with silent yet aggressive rumble and if you are not particularly a fan of the “PAT-PAT” sound, the exhaust note will come as music to your ears. 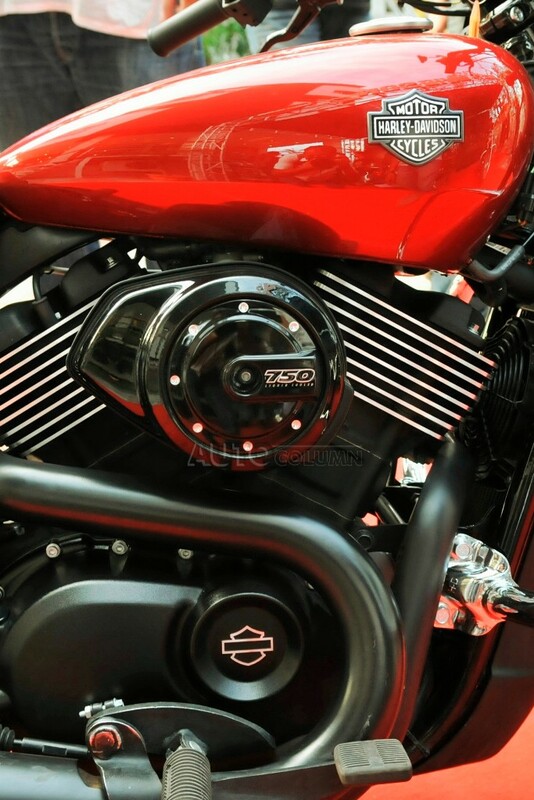 Aware of our confusion, the Harley boys explain that it’s an all new engine called the Revolution-X V-Twin derived from the NightRod designed by Porsche, which fairly explains it all, in fact it’s the first new engine by the American maker in last 30 years. When subjected to rev the response from the engine completely compliments the sound pushing the bikes astonishingly like a dragster, further more if you were not sufficiently surprised yet, the handling of the bike will simply amaze you. The handle bars feel comparatively straight compared to its siblings giving more control over the bike while maintaining the upright siting position, which is compulsory to cruise comfortable through the long highways. Even city rides are a joy, one can easily cut through the traffic and other than U-turns or turning at very slow speeds the bike can easily tackle corners at high speed coupled with the low end torque, all over making it hard not to flaunt your riding skills. Harley has performed well in the comfort department too, the bike is well planted to the road even at high speeds and hardly any vibrations are felt unless we tried to exceed 130kmph while being unaware of the RPM(as it does not have a tachometer), which is less likely to happen in Indian road conditions.The riding seat provides good support, but the rear seat would hardly be used as there are no grab handles or back support and the seat is oddly inclined outward making it very hard to mount on. Probably the concentration has been put completely on the rider, the suspensions work beautifully; easily absorbing the bumps and ditches, long rides felt easy and relaxed practically mocking the Indian roads. It’s only the big pot-holes that you have to be really careful off they hit the spine quite hard and the 145 mm ground clearance does not allow you to take any such risks, one may even end up scraping off some metal. Breaking is spongy and takes some time to getting used to but the front and rear disc do a satisfactory job at any speed, well protecting you against the idiots on the road. Design: It’s a Harley and its very well evident ever since the first look at it yet its different, to start with it is small rather smallest among the Family but not small on design. The inspiration being derived from the Nightrod can be noticed easily, Nightrod inspired headlamps, teardrop fuel tank, raked out front forks, honeycomb mesh radiator grill, all blending in perfectly to make it sporty and high on attitude. The engine itself in black matt finish and brushed fins is a piece of art boldly posing the 750 badge and the Harley sign. 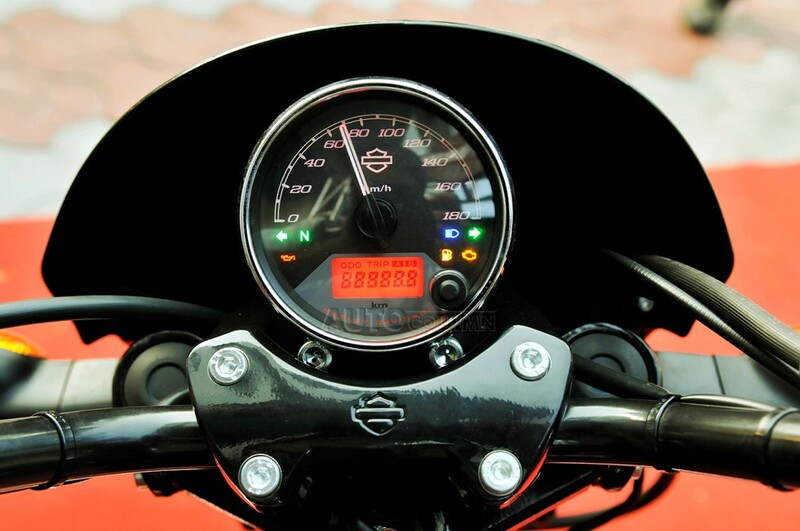 The single dial speedo is placed above the handle bars decorated with a clean chrome ring. 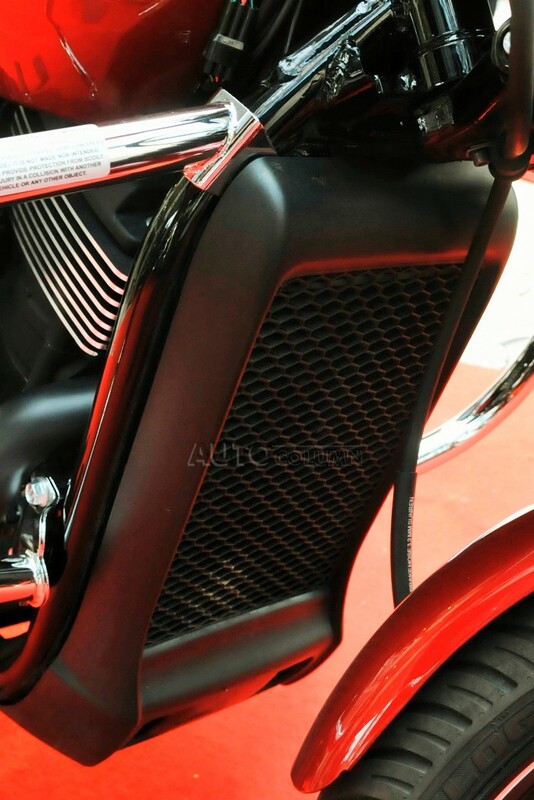 The most prominent feature on the bike in my personal opinion is the fuel tank, with the tear drop design and subtle body lines it enhances that leaned back cruiser look, the fuel lid is offset to the right and thankfully this time equipped with a lock, which is not there on any other models. Even the seat adds to the fluidity of the design leading smoothly to the LED tail through the fender, the rear view is dull and will not grab much attention and the indicators somehow manage not to distort nor enhance the look of the vehicle. 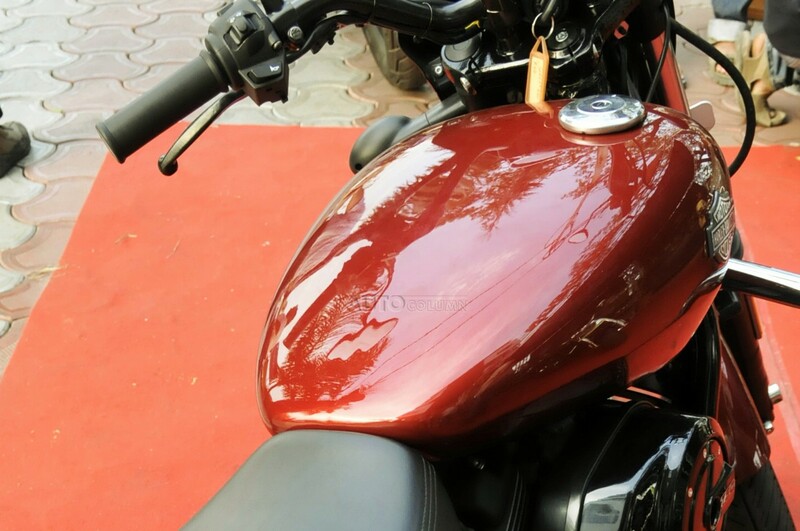 The best angle to view the Street-750 is from the side which reveals its complete profile. 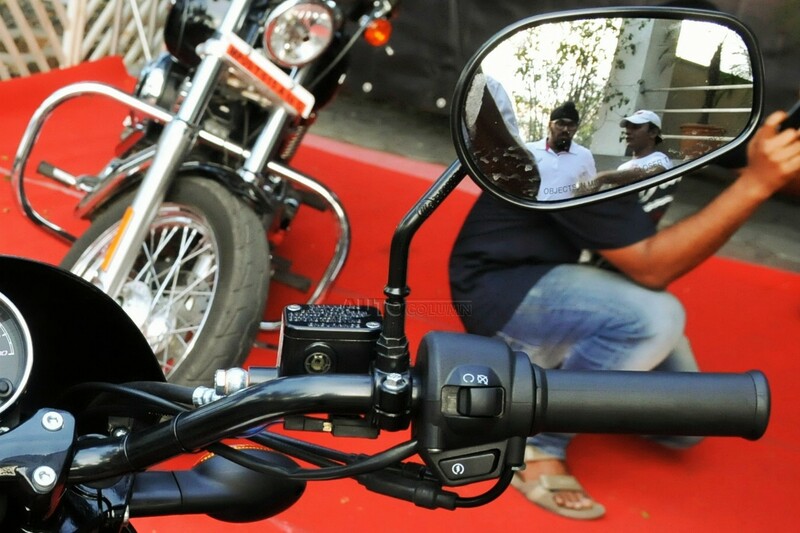 The controls and switches would appear new to the Indian audience, while the quality cannot be questioned, the finish has surely been compromised; also it lacks a pass switch. 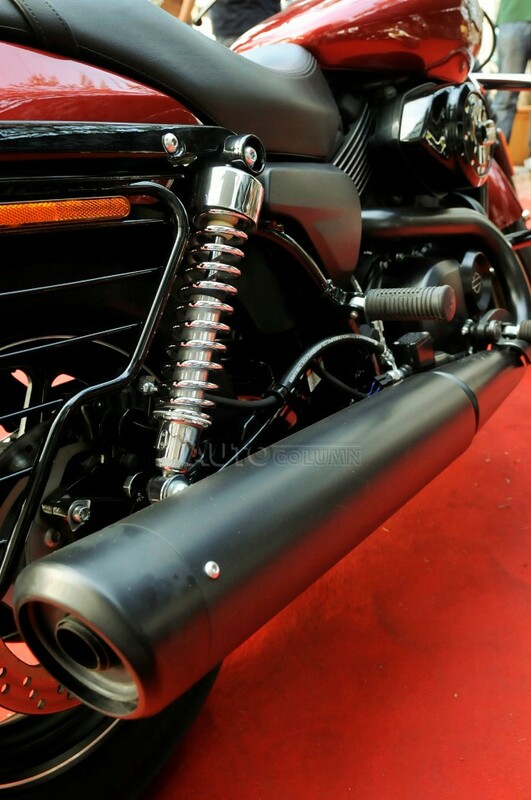 The handle bars are not that appealing too, although they serve the purpose well they do not compliment to the design and most buyers are likely to replace them with more stylish ones from the vast variety of Harley customization range. However the biggest disappointment was the mirrors which were neither functional nor pleasing, I hope Harley will change them soon. All over the design is simple clean and not overdone. Harley Davidson has left the choice upon its customers to customise and personalise the bike to their taste, and innumerable options are available at the dealerships to do so. In fact even the sound can be altered to the signature note by opting for the screaming eagle silencer which is obviously optional. Technical Specification: The instrument list on Street-750 is quite basic but suffices all that is required. The power plant is a 749cc liquid cooled V-Twin, mated to a 6-speed transmission producing a maximum torque of 60NM @4000RPM, all that supplied to the rear wheel through a belt drive. 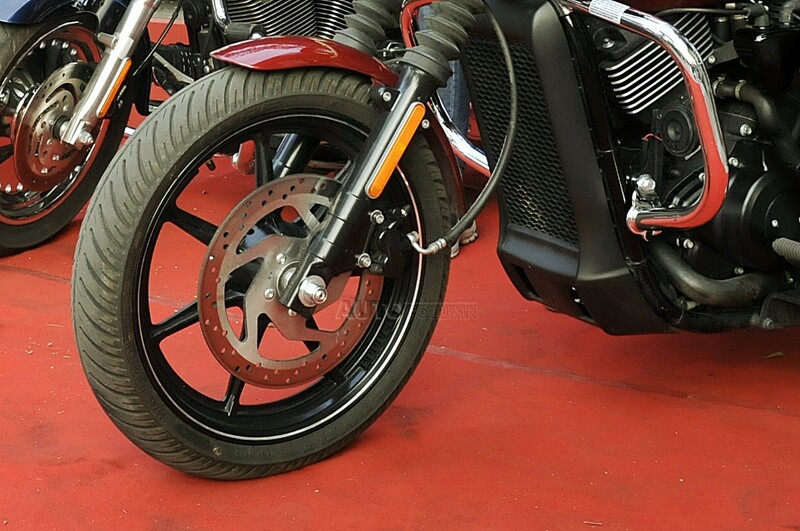 To break all the momentum generated by all that power and curb weight of 222kg Harley has equipped the bike with twin piston front and rear disc brakes. The Meter console consists of a single retro styled speedo and an assortment of indication lights showing everything from engine diagnostics, low oil pressure to low fuel warning. 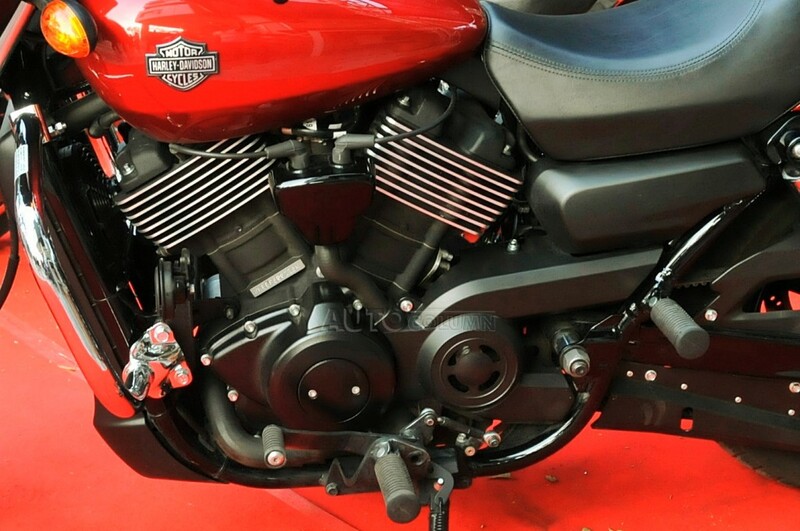 Fuel-level indicator and tachometer are missing though, something you seldom need when riding a Harley. Nothing extravagant other than that, ABS would have been a useful addition considering the price tag. Customization options are available as far as your imagination goes. Harley apparel is a must if you intend to woo the masses. Verdict: Harley Davidson Motorcycles has successfully managed to make the ‘Great American Dream’ affordable to the common Indian and it’s no less a Harley than any other. In fact the technological advancement and the thoughtful designing involved in this bike could be used to benefit other Harley models. 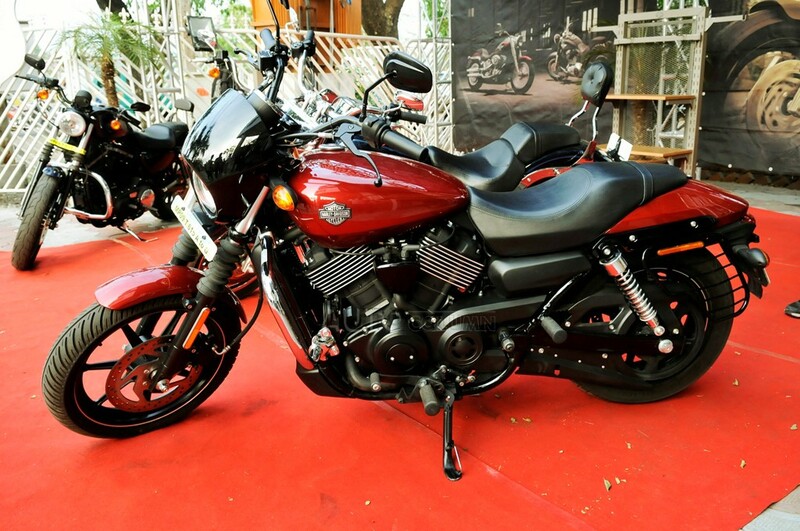 Harley targeted the youth this time and it sure has made a product that will conquer the young hearts. I consider it superior to all its competition not because its cheap or it comes with a big brand name but has claimed the throne in every aspect. 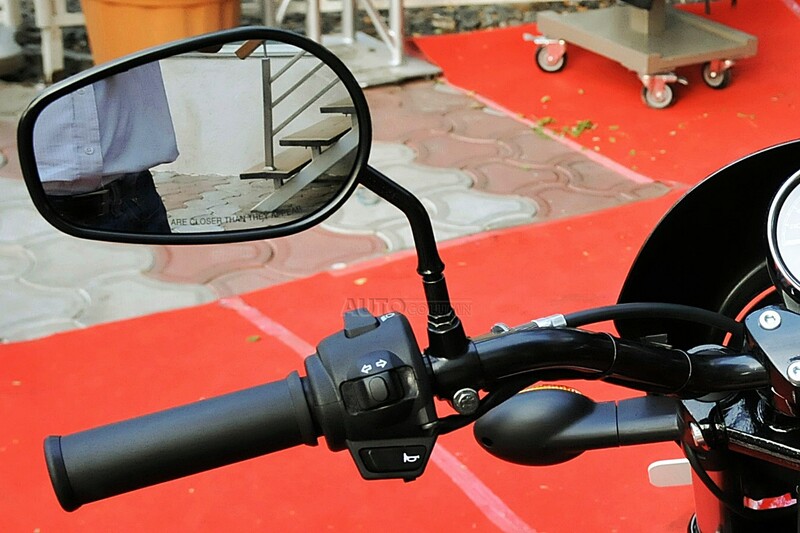 A practical bike both on the highway and in the city, high on style and in class.